These wholesale appliances, which we are about to show You, are offered for sale by a Lithuanian wholesaler. 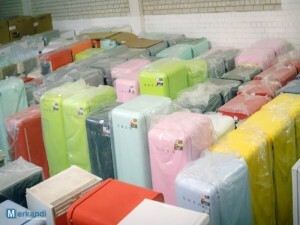 He has a lot of 90 SMEG refrigerators for sale, and the minimum to purchase is 30 of them. Although all of these wholesale white goods are new, the wholesaler clearly informs about couple of important things concerning these appliances. First of all, approximately 10% of these wholesale white goods might have some minor cosmetic imperfections. Also, the packages of these wholesale appliances might be damaged. Inspite of these small disadvantages, all of these SMEG refrigerators are fully working, and have not been used by the consumers. Moreover, all of these appliances are sold under manufacturer’s warranty, so there should be no further concerns of the potential buyers, about their technical condition.